There have been plenty of late exits from Sporting yesterday with 4 players given transfers out of the club – Diego Rubio, Ramy Rabia, Wilson Eduardo and Jorge Santos. First is the departure of Chilean Diego Rubio to Spanish side Real Valladolid on a free transfer with Sporting retaining 70% of the rights to the player. Rubio joined Sporting back in 2011 making 20 appearances for the first team and scoring 1 goal. The striker also had a incredibly prolific spell with the B team earlier this year. Secondly, Ramy Rabia returns to Egypt returns to Al Ahly SC after a season in Portugal for the same transfer fee of €750,000 though Sporting get 15% of a future transfer fee. Rabia played 3 games for the first team last season, all of the in the Taça da Liga, as well as 21 times for the B team. Next is the departure of Wilson Eduardo to Braga. The forward has been at Sporting since 2002, aged 12, when he joined from FC Porto. Since then he had loan spells at Real Sport Clube, Portimonense, Beira-Mar, Olhanense, Académica, Dinamo Zagreb and ADO Den Haag. In total Wilson Eduardo played 24 goals and scored 5 goals for the first team. Wilson Eduardo moves to Braga on a free transfer though Sporting retain the rights to 45% of the player. Finally, Jorge Santos, more commonly known as Gazela has rescinded his contract with the club. The 22-year old winger joined the B team last season but failed to make an impression and was loaned to Salgueiros. Now it looks likely he will return to the club after being released by Sporting. Marco Silva from Estoril (Free): When the news broke that Marco Silva would not be renewing his contract with Estoril rumours had him being linked with all the big clubs. Then, when the rumours started that Leonardo Jardim was heading to Monaco things made a lot more sense. It’s a tough job for Marco Silva having only previously managed Estoril although he’s done some incredible things for them in that time. Sporting is certainly a different prospect. Still, we will see how it goes – so far signs are positive. Simeon Slavchev from Litex Lovech (Undisclosed): The battling midfielder hasn’t played too much football for Sporting thus far. A few knocks disrupted his pre-season but at just 20-years old there’s plenty of time for him to improve and adapt to Portuguese football. Paulo Oliveira from Vitória de Guimarães (Undisclosed): It was almost certain Marcos Rojo was going to leave the club this summer and so Sporting made sure to sign a new centre-back as soon as possible. Oliveira impressed during his time at Guimarães but now needs to establish himself in the first team as so far Marco Silva seems to prefer Naby Sarr. Oriol Rosell from Sporting Kansas City (Undisclosed): The former Barcelona youth player seems to have settled in well already and has been promising so far. Signed as a back-up to William Carvalho with possibly a view to replacing him when the inevitable big money for him arrives. Jorge Santos from Padroense (Undisclosed): A signing for the B-team, the 21-year old forward was once part of Porto’s youth set up but left to join minnows Padroense. Still, he clearly did enough to impress there and will have a rather large step up to adapt to. André Geraldes from İstanbul Başakşehir (€600,000): Signed as the new back-up to Cédric Soares after a solid time spent last season at Belenenses. Geraldes though has plenty of competition to get into the team with the recently instated Miguel Lopes and the very promising Ricardo Esgaio coming through the youth system. It could be a tough season for Geraldes. Junya Tanaka from Kashiwa Reysol (€750,000): Had an excellent pre-season in which he scored plenty of goals although will now find it difficult to get ahead of Islam Slimani and Fredy Montero. So far, signs are promising – his attempt that hit the post in the final minute against Arouca was the one that lead the Carlos Mané’s winner. So far, a promising singing. Ryan Gauld from Dundee United (€3,750,000): Sporting’s biggest investment in this transfer window is Scotland’s “mini-Messi”. So far Gauld has been put in the B team to help him adapt to life in Portugal but already he is impressing and it shouldn’t be too long before he breaks through to the first team but at just 18-years old he still has plenty of time on his side – a very exciting prospect! Naby Sarr from Lyon (€1,300,000): There was some pessimism after hearing some negative comments from French football fans after Sporting completed the signing of Naby Sarr. The giant centre-defender so far has been very solid in alongside Maurício in defence and seems to have won Marco Silva’s early trust over Paulo Oliveira. Sarr is just 21-years old so there is plenty of time for him to mature and settle down. Ramy Rabia from Al-Ahly (€750,000): It took a long, long time for Sporting to complete the signing of Ramy Rabia this summer but eventually they got their man. The 21-year old can play at centre-back or defensive midfield but has so far been playing alongside Tobias Figueiredo in the B team. He’s looked very promising in his first few games although has recently picked up an injury. Another player with bags of potential. Jonathan Silva from Estudiantes de La Plata (€2,800,000): Signed as competition for Jefferson at left-back with a big price too. Silva only turned 20 in June so he’s another promising youngster. The Argentinian made a fantastic debut for the B team with a fantastic goal and it shouldn’t be too long until he gets his first team shot. Nani from Manchester United (Loan): Bruno de Carvalho’s coup of the transfer window was the arrival of Nani on loan from Manchester United as part of the Marcos Rojo sale. 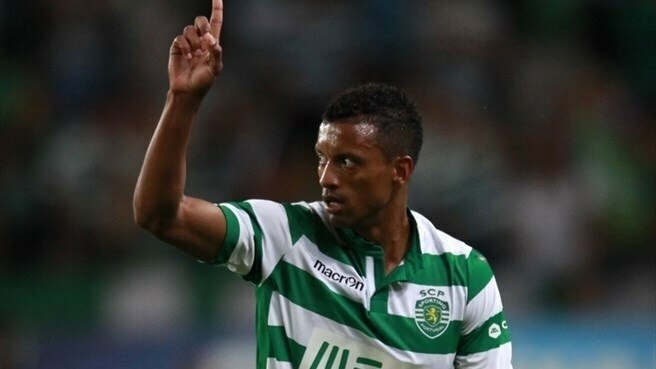 Not only could the returning Nani could hugely improve the side once he regains his match sharpness – Sporting won’t be paying any of his wages. We’ll forget that his second debut began with him missing a penalty – there’s definitely more to come. Hadi Sacko from Girondins de Bordeaux (€1,4000,000): Another signing based on potential is the forward Hadi Sacko. Sacko spent the beginning of 2014 on loan at Le Havre and will be beginning his Sporting career with the B team. At just 20-years old there’s plenty of time for the France U20 international to improve and break into the first team. In all it’s a very promising window for Sporting with plenty of young talent brought into the club that can be nurtured and improved. The oldest signings being Tanaka and Nani both at 27 but the average of the signing was 21.8 years old (23 if for some reason you wanted to include Marco Silva) it shows the obvious transfer policy of the club. The club spending well within their means and making sure the new players have plenty of future resale value only bodes well for the club. 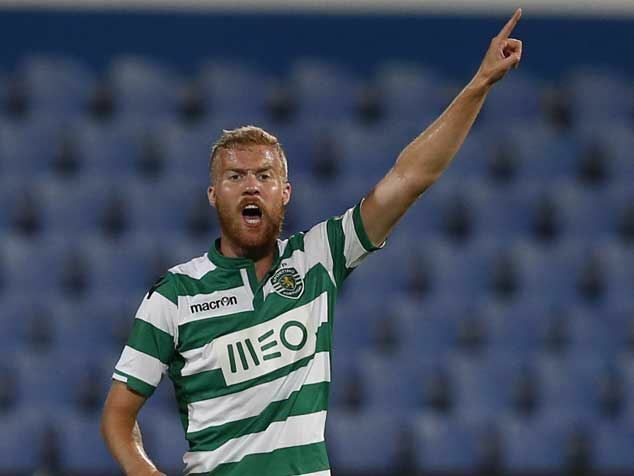 Sporting have announced another new signing, this time to strengthen the B team – Jorge Santos, nicknamed Gazela, from Padroense. It’s quite a step up for the 21-year old winger who was playing in the AF Porto Divisão de Elite last season. Santos has signed a contract until 2020 with the very familiar €45,000,000. The longevity of the deal shows that Sporting’s scouting team feel like they must have found an exciting prospect. Litos, former Sporting player and manager, revealed he turned down the opportunity to replace Abel Ferreira in managing the B team. Litos was still open to returning to the club in some capacity in future but felt like now was not the right time. With Sporting find it hard to find a deputy right-back for Cédric Soares, Record speculates that Miguel Lopes could return to action for Sporting. Lopes spent last season on loan at Lyon but it seems the French club will not be using their option to buy the player. The only possible problem with this is the player’s high wages. Sticking with Record they Sporting have agreed a deal to bring in 18-year old right back Jorge Silva from Leixões. The defender was said to have been at the Academia Sporting in Alcochete to sign a 1-year deal with option of extension for a further 4 years. Record seem to believe Sporting are putting more influence into Egypt with the club not only getting close to an agreement with Al Ahly for Ramy Rabia but also a pre-season friendly in the country too. The friendly, they say, could earn the club around €350,000. A Bola say Sporting are watching Romanian forward George Ţucudean. Ţucudean is currently on loan at Dinamo București from his parent club Standard Liège and has received praise from former Sporting man Marius Niculae. The paper also links Sporting with another forward this time Serbian Filip Kostic currently at Dutch side FC Groningen. The 21-year old impressed at the club last season although the club insist they have yet to receive any offers. Moving on to O Jogo who say Wilson Eduardo, deemed surplus at Sporting, has attracted interest from clubs in Turkey and Greece. The winger has plenty of competition in the squad and is looking to leave. Finally, Bruno de Carvalho announced that the long-awaited Sporting TV is set to launch on the 1st July which also coincides with the club’s 108th birthday. Oriol Rosell’s transfer to Sporting from Sporting Kansas City is completed and the Spanish midfielder has signed a 5-year contract with a €45,000,000 release clause. The 21-year old will bolster Sporting’s midfield no doubt with European football in mind. No news of the transfer fee involved but O Jogo guesses that it is likely to be €1,000,000. Rosell becomes Sporting’s third signing this summer after the arrivals of Simeon Slavchev and Paulo Oliveira. Elsewhere Record say that Sporting are still negotiating with Audax São Paulo for Rafael Martin’s after the forward’s excellent season at Vitória de Setúbal although they may meet competition from Benfica. A Bola say that Sporting hope to close the deal for Ramy Rabia from Al-Ahly by the end of the week. The two clubs had disputed about the values for the 21-year old defender made his debut with the club at 17 and has already played several times for the Egyptian national team. Stoke City are apparently after Diego Capel with Sporting wanting €8m for the player but Stoke would prefer a value around €4-5m. Torino look set to beat Sporting to the signing of Josef Martínez from Young Boys. The 21-year old forward from Venezuela has impressed at FC Thun. Club Tijuana’s 24-year old attacking midfielder Fidel Martínez is another name mentioned in the papers as interesting Sporting. Sporting may consider the Ecuadorian as an eventual replacement for Diego Capel. Sporting are also considering the possibility of signing Nacional’s Fernando Marçal to deputise for Jefferson.